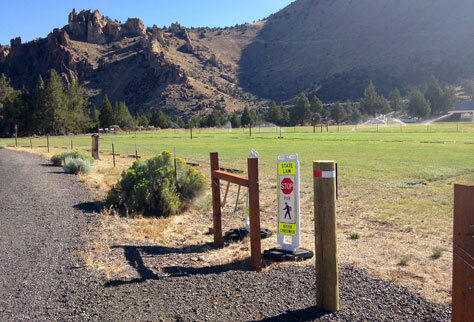 May and June left record numbers of Smith Rock visitors parking up to 2 miles outside of the park. Late July's heat has reduced traffic immensely, so no need for the lot as of yet. For more background, here you go. Since the 100 spot parking lot is open by discretion of park management, we may not see it actually in use until September, when visitation picks up again. We'll keep you posted of course, and summon the marching band and parade for a proper opening.